Best new training aid for 2017. Have you ever had trouble trying to record your golf swing at the driving range? We have, and it’s a tedious job to get your phone to stand up correctly without falling over, just for a glimpse of your swing. Fear not though, as Selfie Golf is here. Selfie Golf is a new product to the Golf Market in 2017 and has already picked up a big accolade, winning PGA Best New Product Award 2017. 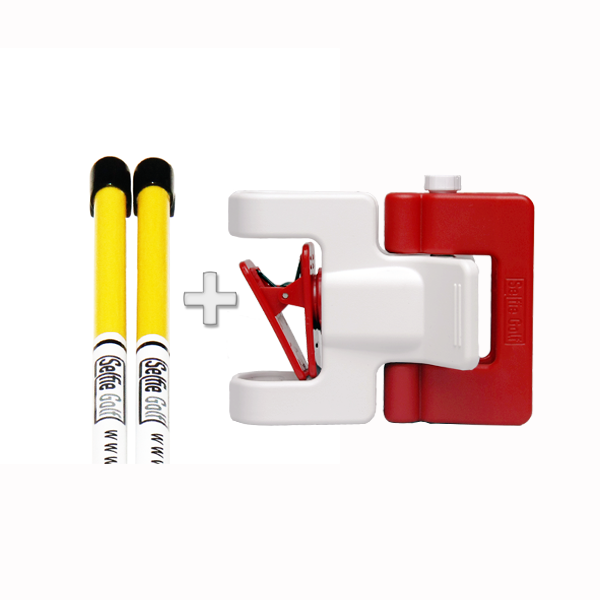 A simple yet versatile and lightweight design enables you to secure your mobile into the holder and clip this onto an alignment stick or one of your clubs that is positioned in your bag. 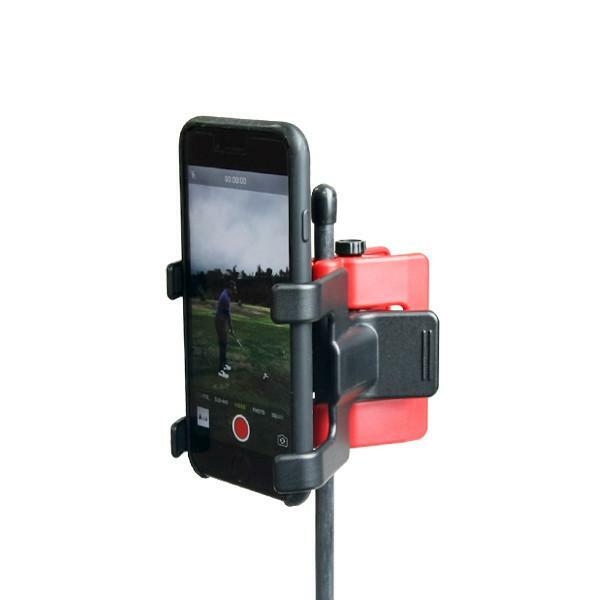 This works with both stand and cart bags and is compatible with all mobile phones.It enables the user to capture every swing without any shaking that may come with someone holding it. 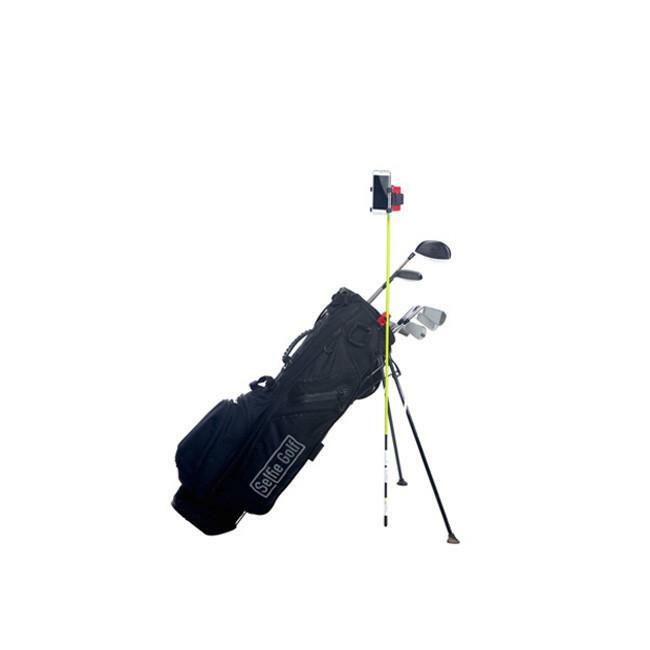 It may seem a bit expensive at $40 for the basic set (without the Alignment sticks) but the Selfie Golf is made to a very high standard and includes spare attachments and a Dust Bag to keep it protected when you are not using it. Well worth an investment if you like watching your swing back to give you the feedback you need on what you can do to improve. Or if you just like showing off your swing for your Instagram!